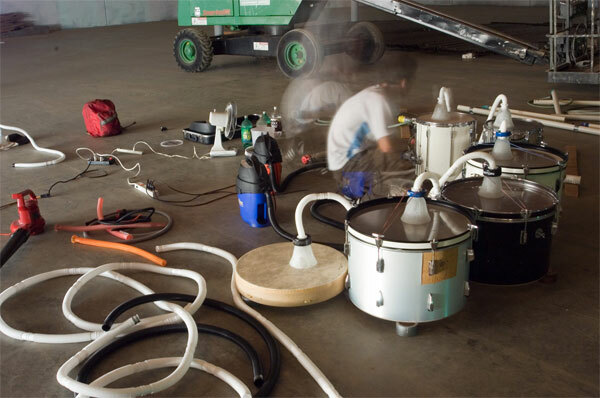 L.A.-based composer, Liam Mooney, will be doing a solo performance of his vacuum-powered music, exploring, through the magic of plumbing supplies and percussionless drums, the acoustic wonderland that is Cold Storage. Join us for a relaxed evening of rather noisy, droning music, and discover that you actually like the sound of vacuum cleaners. Sneak a listen at this link.